We are proud to show this work against the background of some of the finest vintage furniture from Bo Butik, genuine mid-century Danish modernist pieces. We respond to all of this… the joy of moving with and amongst some of the most beautiful things on earth. Thu Tran is a Hanoi-based abstract artist who also paints linens, silk and cottons transforming them into fabulous wearable art. Click here to see her facebook page. Vivien Haley works with paint and textiles to create exquisite abstracts from nature.. Click here to view Vivien's website. Shan Shan Mok fashions unexpected materials including silicon and titanium, to make jewellery that turns heads. Click here to view her facebook page. 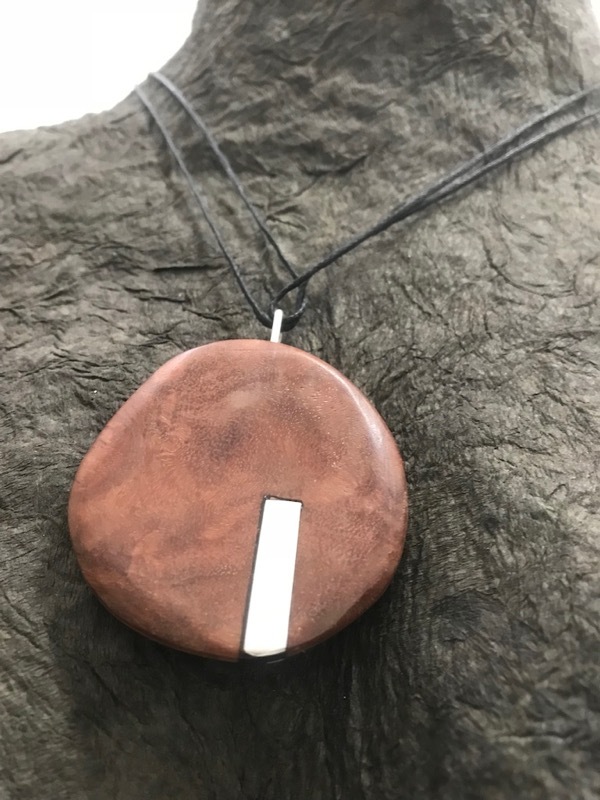 An Morison's jewellery Combines wood and silver, as well as acrylic and silver to achieve a sculptural elegance. Click here to read more about the artist. The exhibition will be set against a background of fabulous mid-century Danish furniture imported by Bo Butik Furniture. Click here to view the website.